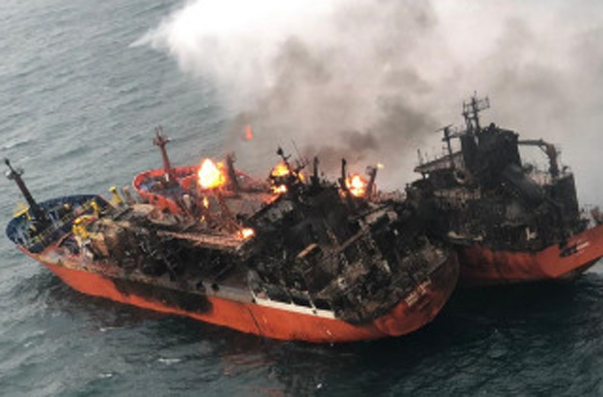 A fire on tankers carrying about 4.5 thousand tons of liquefied gas occurred on January 21 when it was reloaded from one ship to another. Ignore the fire fails the second week. “We would advise seamen to go to court to get money. At the moment, the case for compensation is not even close. I know that the company has not yet contacted. Now we need to find out where the vessels were insured and what is the amount of compensation, ”Ananina said. According to her, the families of the dead sailors have already appealed to the ITF inspector in Turkey with a request to help in obtaining compensation. If the shipowner had concluded an agreement with the ITF or the seamen were members of the trade union, the victims and the families of the victims could have counted on amounts over $ 100,000. “But sailors usually turn to us when something happens,” said Ananina. According to the documents that are available to TASS, the tanker Maestro was insured in the Russian company Arsenal. The company’s website states that its head office is located in Moscow, but it works in different regions of the Russian Federation, providing, among other things, land insurance services. The amount of payments for affected members of the team, according to the contract, is 30 thousand dollars per person. Newer PostDiver of depths Colombian “runs” at full speed under water.